Nintendo has confirmed that there are plans to release more Smash Bros. amiibo in time for Super Smash Bros. Ultimate, which will be released on Nintendo Switch in December. In addition to announcing amiibo for a handful of new and returning Smash Bros. characters, the company has also hinted at further releases down the road. 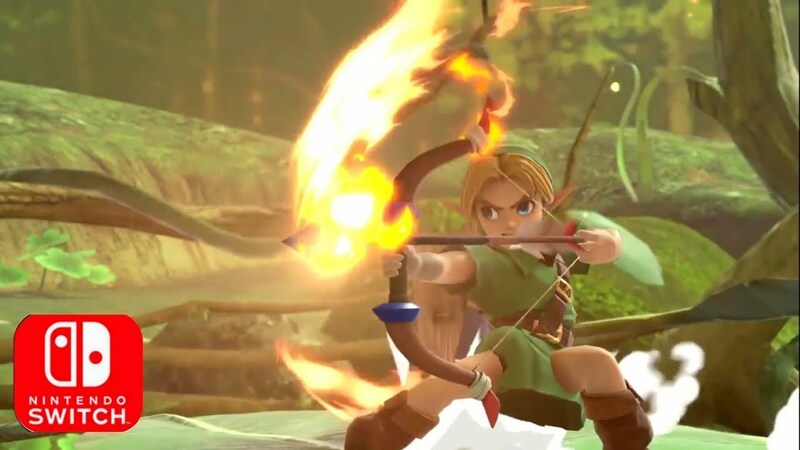 This means that returning characters like Young Link, who sadly sat out for Super Smash Bros. Brawl and Super Smash Bros. for Wii U / 3DS, could potentially receive a new Smash Bros.-specific amiibo. Nintendo has confirmed that new fighters Inkling Girl, Ridley, and Daisy will receive amiibo figures, as well as returning characters Ice Climbers and Pichu. While no further amiibo have been announced, Nintendo implied that all the returning characters to Super Smash Bros. Ultimate still without amiibo will receive a figurine down the line. The returning fighters currently without amiibo are Ice Climbers, Pichu, Young Link, Snake, Pokémon Trainer (Squirtle, Ivysaur, Charizard), and Wolf. Nintendo is extremely thorough with their Smash Bros. amiibo, and they previously released amiibo for all characters in Super Smash Bros. for Wii U / 3DS, including DLC characters who arrived post launch. There is certainly a strong possibility that we’ll see a new Young Link amiibo close to Ultimate‘s launch. Personally I will likely prefer the Majora’s Mask Link amiibo previously released, but it’d be great for Smash and Zelda fans to have another opportunity to nab a Young Link amiibo, as the one released for Majora’s Mask 3D was hard to find. What do you think of Nintendo making more Smash amiibo? Let us know in the comments below.